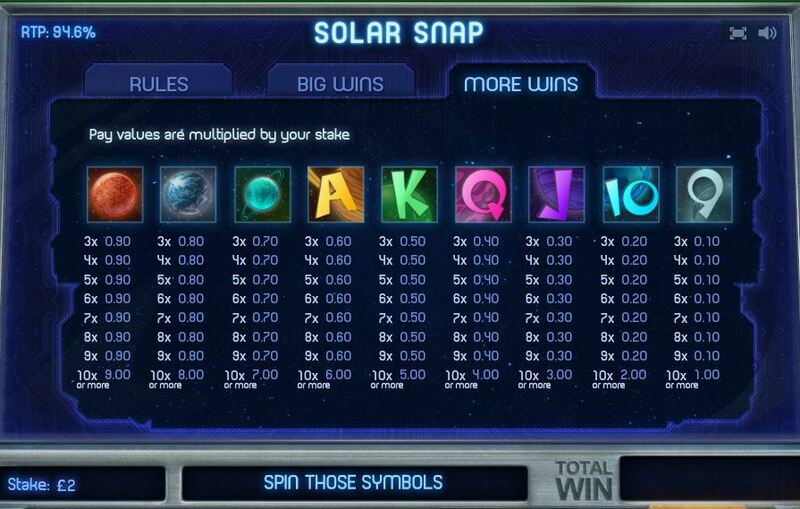 Solar Snap slot is a game based on Snap Slot also by Cayetano Gaming only this time we have planetary symbols on this 8557 ways-to-win game. 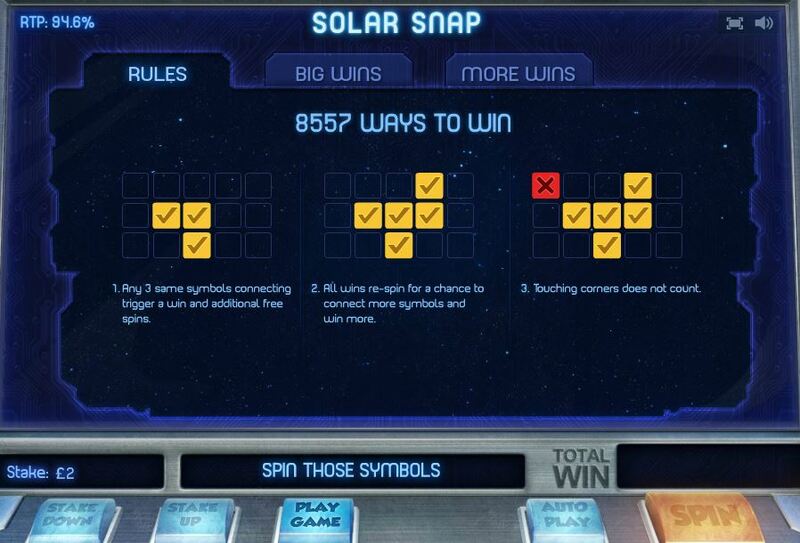 Winning spins trigger respins to see if any more adjacent symbols can be added to the existing win. 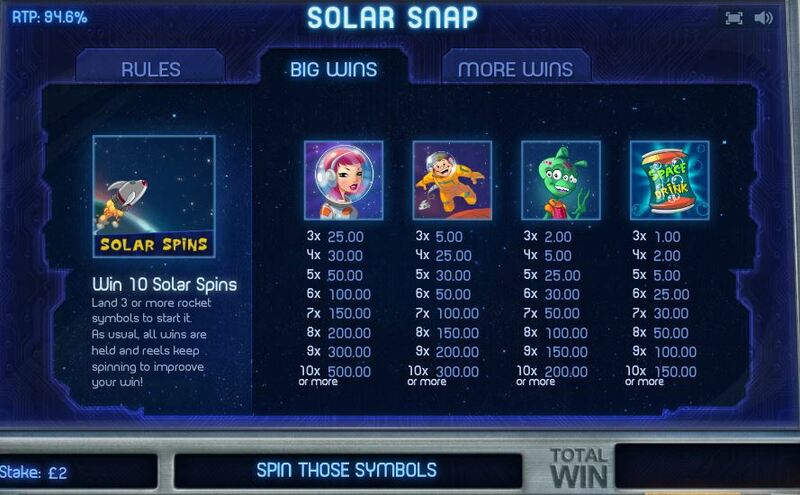 Free games can be won with more winning chances in the respin feature. 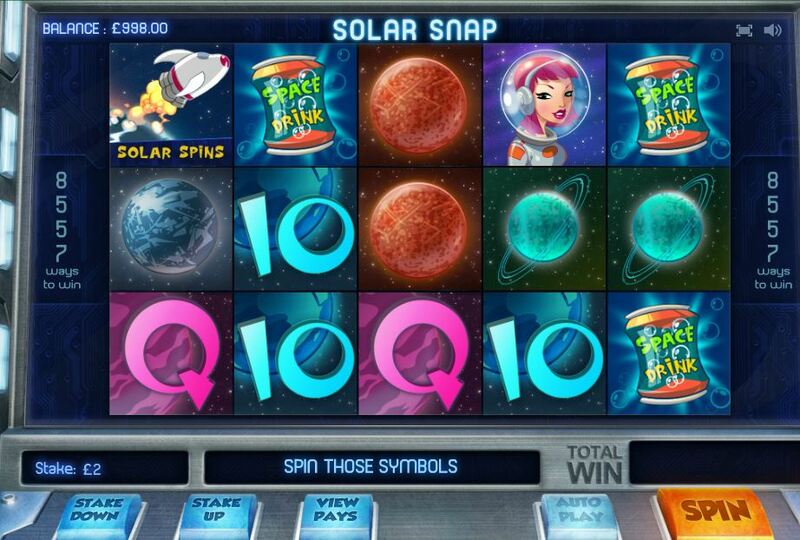 A RTP of 94.12% makes the game well worth a shot.